Leopard got some serious stage time during Monday’s Worldwide Developers Conference keynote, with Steve Jobs detailing 10 of the OS X 10.5 update’s 300 features and enhancements. 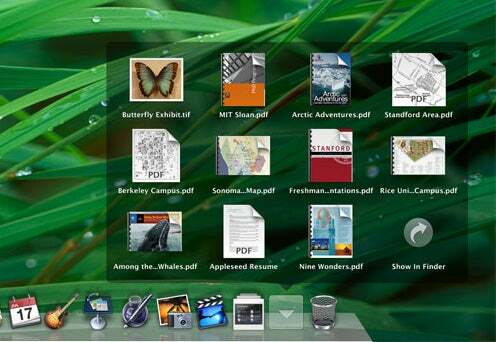 But the features garnering the most attention were the ones not included in previous Leopard previews: A new Desktop (referring, in this case, to the overall look of the screen, menus, and the Dock) and a new Finder. Actually, calling Leopard’s Desktop and Finder new is a bit of a stretch. Judging from Jobs’ demo and the background information on Apple’s Web site, both appear to work in much the same ways they have for years, just with many subtle tweaks and a few new features. But the sum of these changes is a look-and-feel that’s considerably different that OS X’s current incarnation. In addition, Leopard will offer two new features, Cover Flow and Quick Look, that should make it easier and more convenient to preview files. Getting into the nuts and bolts of the changes to the Desktop and Finder will have to wait until a final version of Leopard arrives in October. But we can still dive a little deeper into these OS X 10.5 enhancements based on what Apple’s disclosed so far. 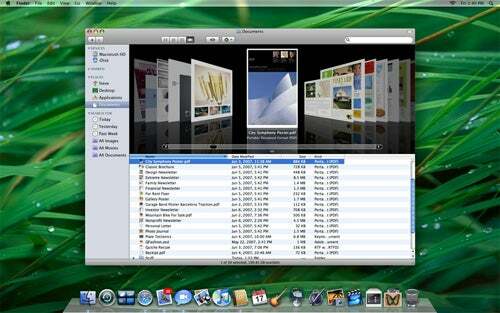 Jobs began his discussion of Leopard’s new features by touting a new Desktop, but what he was really talking about was a group of changes to OS X’s general interface, as well as improvements to the Dock. 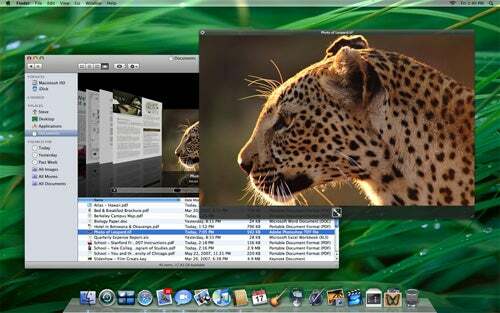 Leopard will feature minor visual changes to what you see onscreen when using your Mac. The famous Mac OS menu bar is now subtly translucent; instead of a glaring white, you’ll see a soft see-through bar that lets your Desktop picture peek through. But it’s not a static appearance—Apple told us that the menu bar will automatically adapt its translucency and color to whatever Desktop picture you choose. So, for example, if you choose a dark background, you’ll still be able to read menu names clearly. The Dock gets a new appearance, as well, looking a bit like a glossy platform on which icons rest. Apple’s expected eye candy can be seen, literally, when you drag a window just above the Dock; the window is reflected off the Dock’s glossy surface. It’s uncertain at this point how this bit of visual razzle-dazzle might affect performance on lower-end Macs—if at all—but it bears watching once Leopard’s ship date arrives. The Dock gets another new feature in the form of Stacks. If you drag a folder to the Dock, a new icon called a Stack—which looks, cleverly enough, like a stack of icons—is added to the Dock; click on this icon and the contents of the folder appear as a fanned-out column of high-resolution thumbnail icons and file names. (If there are 10 or more items in the folder, the files appear on a translucent grid instead.) Click on any item to open it. Although OS X currently lets you drag a folder to the Dock and easily access its contents from the Dock menu, Stacks makes this functionality more obvious and attractive. In addition, Apple’s description of the feature indicates that you can also create a stack by dragging a group of files to the Dock. …or appear in a grid if there’s more than 10. As with the Desktop, calling the Finder “new” is another way to say “a new look and a few new features.” For example, Finder windows, in addition to getting the universal smooth-gray look, also will sport a remodeled sidebar. Looking much like the left-hand source list in iTunes 7, these sidebars look cleaner and include logical groups of items: Devices (hard drives, CDs, DVDs), Shared (network volumes and computers), Places (folders and files on your hard drive), and Search For. Like the Playlists item in iTunes, you can collapse any of these groups to hide their contents. The Search For group in the sidebar includes any Spotlight searches you’ve saved, as well as several default searches that provide an instant listing of matching files: Today, Yesterday, Last Week, Images, Movies, and Documents. A welcome improvement is that Spotlight in Leopard can search other local Macs and remote servers (although it’s not clear if this feature requires that the other computers be running Spotlight, as well, to create a searchable index). Another improvement, not mentioned by Jobs in this keynote but described online (and outlined last August ) is the ability to use simple syntax in Spotlight to perform Boolean searches—and, or, or not—as well as to search for exact phrases, dates, and date ranges. The Shared group provides an easier way to access computers on your local network. Listed are any computers—Macs and Windows PCs—that are sharing files, as well as any Macs with screen-sharing enabled. Hopefully this approach will work better than Tiger’s Network browser, which hasn’t always accurately listed the other Macs on your local network. Even better, a new feature called Back To My Mac uses Apple’s .Mac service to ease connections between remote Macs. For example, if you have a Mac at home and another at work, each will keep .Mac informed of its current IP address; each will then appear in the other’s Shared list in Finder sidebars, letting you connect—or, even more impressively, control via screen sharing—with a click. We don’t yet know how well this feature will work once you throw firewalls and routers into the mix, but if Apple can find a way to make such connections feasible, it will be a significant step forward. Finally, Leopard’s Finder adopts another visual feature of iTunes—Cover Flow. Available as a new view option—along with the current List, Icon, and Column views—Cover Flow lets you quickly flip through previews of the files in a folder, in Spotlight results, or in a saved Spotlight search. These previews aren’t static icons; they’re live previews of a document’s contents. In fact, you can even cycle through the pages of a PDF or the slides in a Keynote presentation, or even play video right there in the Finder window. Although these changes should make it easier to work with files, there’s at least one possible drawback: With Finder and iTunes windows looking so remarkably similar—assuming neither undergoes further changes between now and October—it may be more difficult to tell such windows apart when trying to quickly click on one or the other. (There’s something to be said for different types of windows looking a little bit different.) But I’m going to reserve judgment on this iTunes-like Finder-window appearance until I have a chance to use the new Finder extensively. The other major interface improvement touted by Jobs Monday is called Quick Look. Basically an enhanced preview, Quick Look lets you instantly access a live preview of a file without having to open an application. For example, you can view a large, readable preview of a PDF file, and flip through that file’s pages, right in the Finder. In the case of a movie or audio file, you can watch the video or listen to the audio with one click. And if the default preview is still too small, another click lets you preview the file at full-screen size. Quick Look supports many common file types—including text, images, movies, PDFs, and Word and Excel documents—out of the box; developers can supply plugins that add Quick Look support for their own documents. This feature should be especially useful for previewing photos and movie files, but it will also come in handy whenever you want to take—well—a quick look at a file without launching another app. 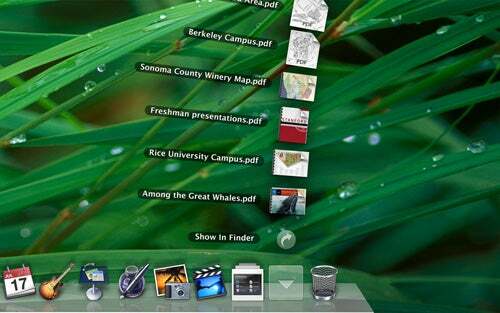 Like many of Leopard’s new features, Quick Look is available in many other places around the OS. For example, you can use Quick Look while participating in an iChat AV conference to show other participants a preview of a file. Similarly, when using Time Machine, Leopard’s backup system, Quick Look gives you a useful preview of files before recovering them. 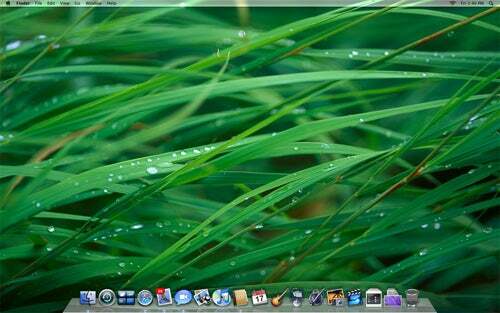 It’s pretty much a given that each major new release of Mac OS X includes a facelift, and Leopard is no exception. But while some Leopard tweaks—such as the appearance of the new Dock and menu-bar—seem to be little more than a new flavor of eye candy, the new Finder and Desktop do offer some welcome changes and useful new features. What Apple didn’t talk about is how much of the new Finder is actually new under the hood. Although it seems those hoping for a from-the-ground-up revision will be disappointed, we hope Leopard’s Finder at least fixes some of the current Finder’s deficiencies, such as spinning beach balls when network volumes can’t be found and windows that don’t always reflect their current contents. And we’re also hopeful that the new Spotlight features in Leopard mean that Spotlight is getting at least a few steps closer to its potential. We’ll have to wait and see; October is only four months away.